If you search for “cat misconceptions” on the web, you’ll find tons of lists debunking common cat myths. These lists tend to cover similar ground and try to explain how we don’t have nine lives or always land on our feet, how we should not be declawed, drink milk or eat chocolate, and so on. While these are great lists, I think they miss some of the most important misunderstandings about cats. Also, look who wrote those posts. Primates! We all know that bipeds are not exactly the foremost experts on felines. As a lifelong cat who has reached the wise age of three years old, I have a lot more expertise on this topic than the primitive homo sapiens who usually write these lists. So, I thought I’d present my list of 10 important feline myths. Many humans are under the mistaken impression that when the master of the house licks them (for example on the forehead or arm), the cat is grooming them, as an expression of affection or belonging. The truth is that we lick you to prevent mineral deficiency. Oily human skin contains essential salts and minerals for cats. Plus, it makes for a tasty snack between meals. Me, enjoying a mid-morning snack. When we sleep next to you on the bed at night, we are not choosing to sleep with you. What a human-centric view! If we sleep on the bed with you, it’s because we were going to sleep there ANYWAY, and you just happen to be there by coincidence. You are sharing our bed, not the other way around. 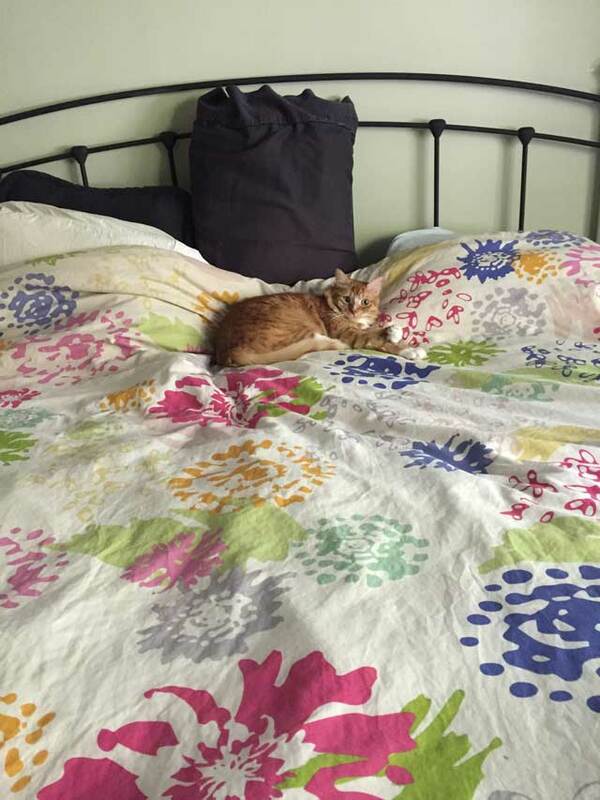 Toby savors some precious time on a bed uncrowded by human interlopers. The humans in my household sometimes accuse me and Toby (my housemate) of being picky eaters. That is a blatant and outrageous lie! The sad truth is that humans are sadly deficient at predicting our moods and food preferences at meal times. If you’d give us the right flavor, or serve it at the right temperature, or mush it up just so, we’d gladly eat it. Even a monkey could do a better job of serving our meals. 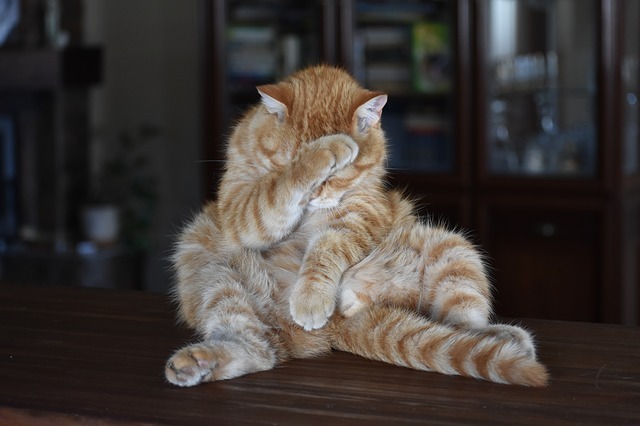 “Doh” – A random cat from Pixabay is exasperated after his servants once again fail to give him the right flavor at dinner time. When I knead on the shaggy bean bag chair in my house, I am not doing it to comfort myself. Why don’t you understand that I am trying to knit? You’d realize this if you would just bring me the right supplies. Also, when I chase a strand of yarn, sometimes, as you might think, I am just following my hunting instinct. However, much of the time, I am trying to catch the yarn so I can knit a cozy blanket to snuggle on. 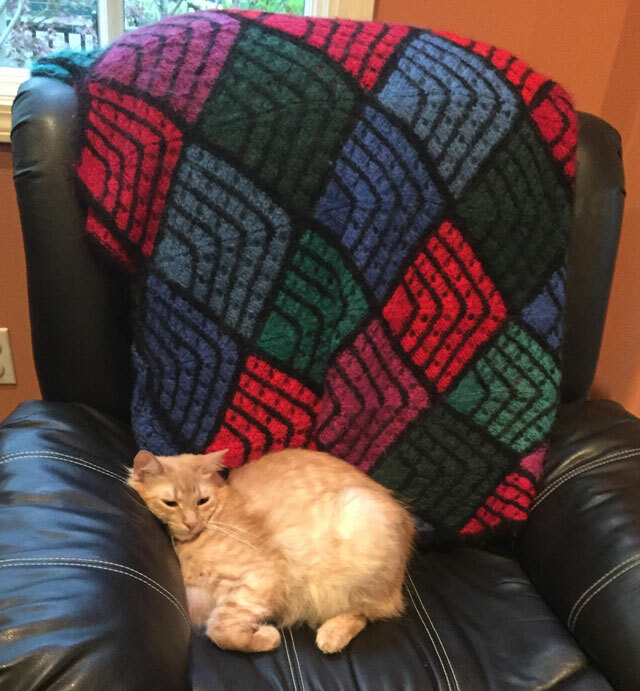 I think my grandmother knit me this blankie before I was born. When we stretch out on the floor (or elsewhere) and show you our bellies, we are not inviting you to rub it. In fact, most cats detest belly rubs. 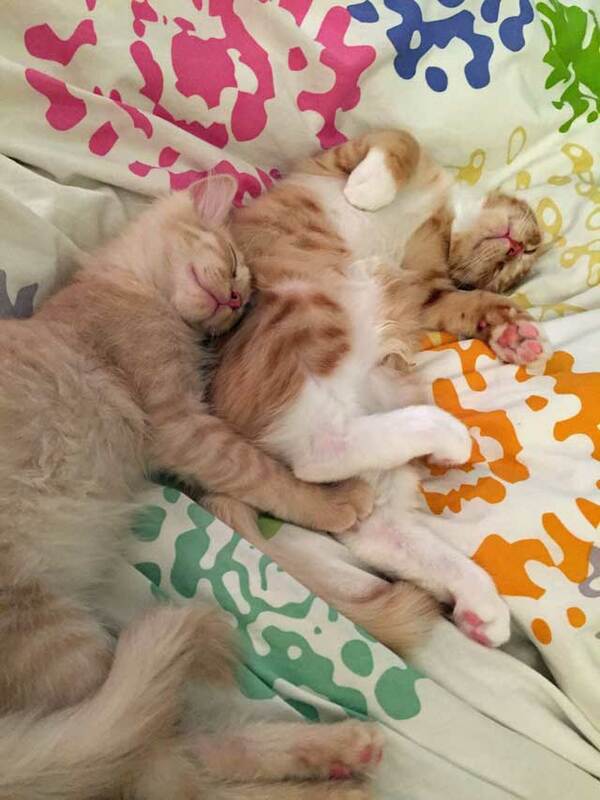 Rather, we are showing off how pretty our tummies are! About four million years ago in India, the common ancestor we share with tigers got the inspiration for this habit from the peacocks they saw strutting around. Toby demonstrates that kittens have an innate instinct for preening. Toby peaks to see if anyone is appreciating the glorious view. Unlike my ancestors, I have no need for the barbaric ritual of marking my territory — I own the deed to my house free and clear. After all, I am a Cat on FIRE. When I scratch up your couch, I am not marking my territory. I’m doing it because your furniture is ugly, and I want you to get rid of it. C’mon, could my message be more clear? Case in point: Toby and I scratched up the ancient couches in our house so badly that our servants put slipcovers on them. Once that happened, the couches became aesthetically acceptable, so we stopped scratching them. That was not my goal (I wanted a NEW couch), but it was better than nothing and about the most I could expect from my halfwit servants. BTW, if you don’t get the message from our scratching, the next step is peeing and pooping on the offending furniture. That strategy is usually highly effective; maybe we should have done that instead. p.s. 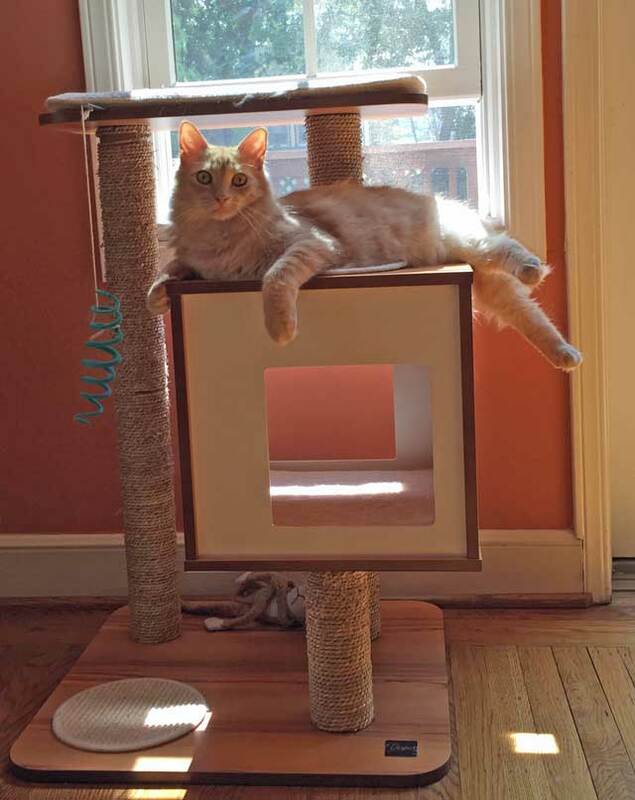 When I use my scratching post, my goal is to sharpen my claws — in preparation for destroying your couch. I have posts for scratching. Your couch is just ugly. Some primates complain that the personality of a cat can dramatically change as they grow from kittens to adult cats. For example, a friendly, cuddly kitten might become an aloof and skittish cat. Well, I’ll let you in on a little secret. 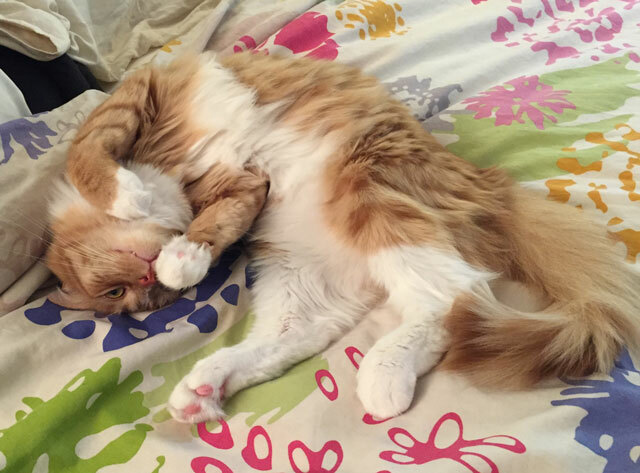 Cats don’t change their personalities. 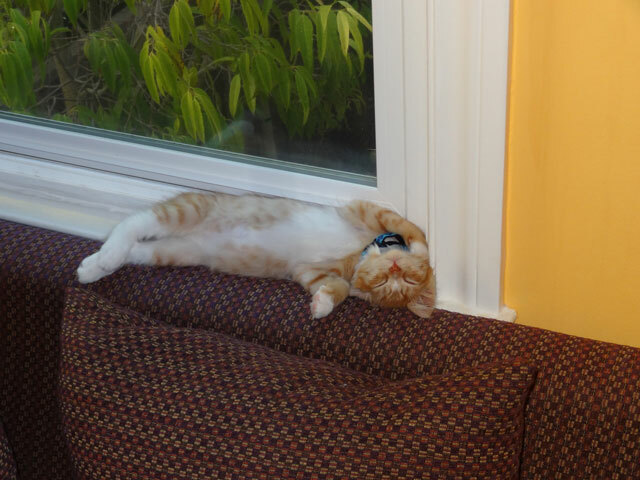 Kittens are just great actors. When interviewing potential household staff, to attract the best candidates, a kitten is highly motivated to come across as a dream boss. Happy kitties can just be themselves, but grumpy kitties and scaredy cats have to be sneaky and trick you into taking the job, before revealing their true nature. Shouldn’t humans already be used to this tactic from the corporate world? I have to admit that, for a big dum-dum, Toby was masterful in bamboozling our servants. 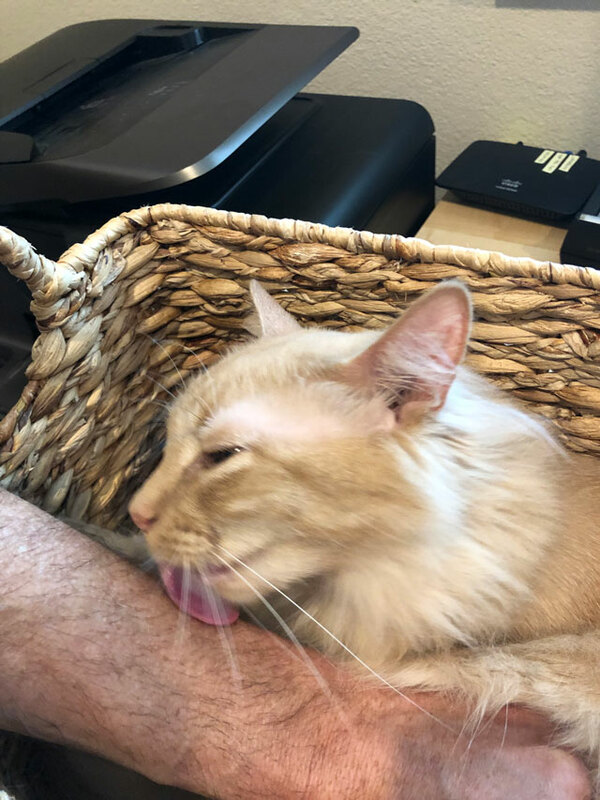 He convincingly pretended to be a lap cat during the recruiting process and their trial employment period before revealing his true nature as a young adult. 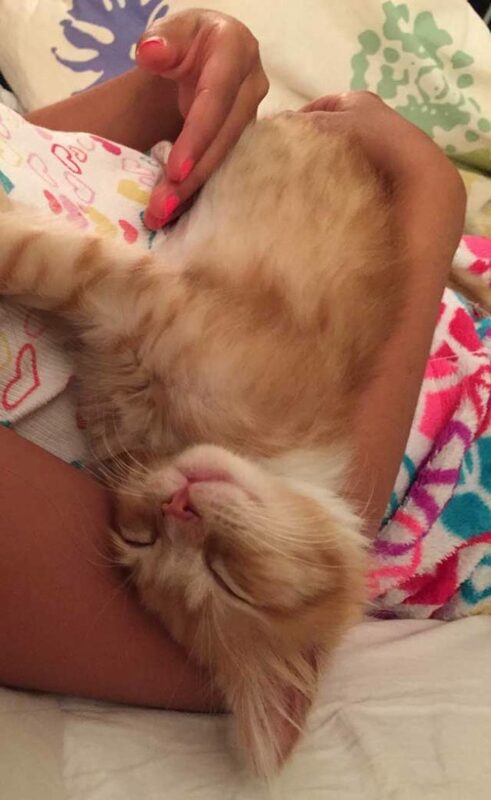 When he was a kitten, Toby could have given a master class in how to fool humans into thinking you are a lap cat. Many humans think we do this because the clothes remind us of you or represent safety. But if that were true, then we’d revel in the dirty laundry basket with your stinky socks and undies. Toby and I wouldn’t be caught dead doing that. Yuck! 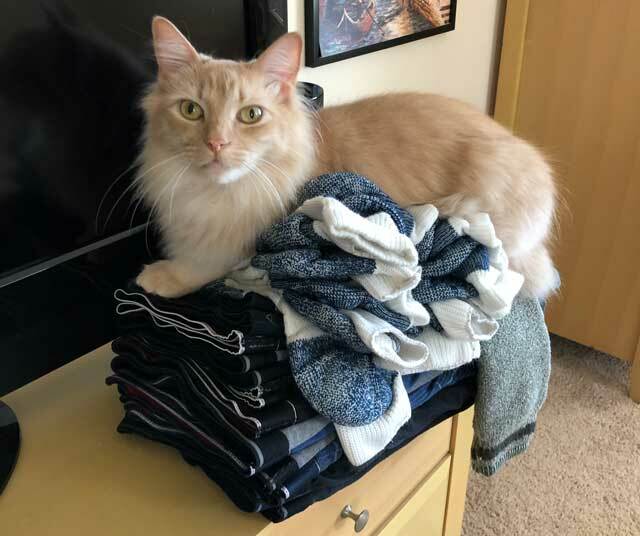 No, the reason we lounge on laundry is to shed all over your clothes, which sends a message to other cats that you are unavailable for hire. Good servants are hard to find these days, and unscrupulous cats sometimes poach primates from their masters. 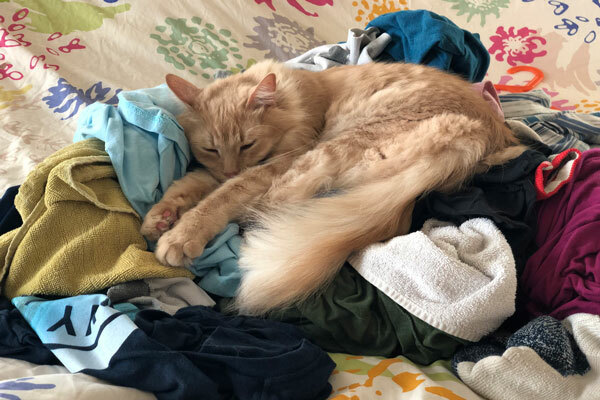 Killing two birds with one stone: shedding on clothes and catching a nap. 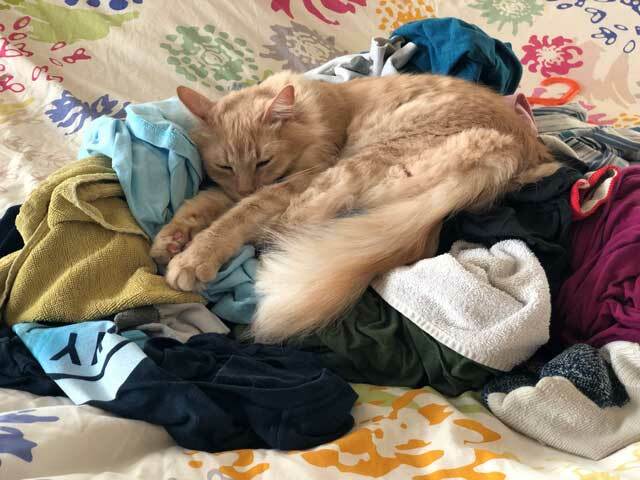 I can also shed over folded laundry if I miss my chance at the pile. Humans think they have a monopoly on art and creativity, despite irrefutable evidence to the contrary. 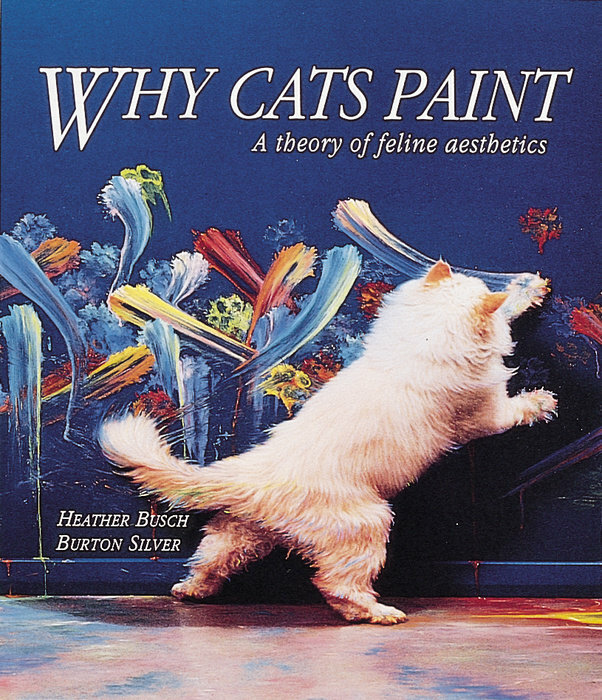 For example, in their seminal book, Why Cats Paint, Heather Busch and Burton Silver conclusively demonstrate not only that cats are gifted painters but also why they do it. If I had enough attention span to read, this definitely would be my favorite book! Hello? Are you reading this post? Who do you think wrote it! Here I am, hard at work on this post. 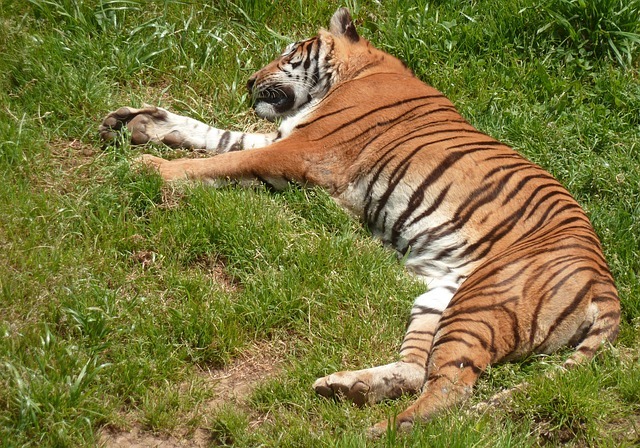 Let me tell you: blog writing is tough work, and optimum creativity requires frequent rest breaks.